Analyticom is a specialized independent software provider headquartered in Zagreb, Croatia, and its most prominent products are the football management system COMET (Competition Management Expert System) and ERP (Enterprise Resource Planning), an integrated solution for business management particularly applicable for sports governing bodies. The majority of our clients are national and continental football associations in Europe, North and South America, Asia and Oceania. In order to continuously deliver outstanding products and services, we keep our strategic focus on permanent education, application of state-of-the-art technologies and continued optimization of our software development and implementation processes. Analyticom has a long-term partnership and strong connection to Oracle, the World’s largest database provider, and Microsoft, the World’s largest operating system provider. Our systems have been tested over years on these technological platforms, and we have achieved the Oracle Gold Partner Status and Microsoft Silver Partner Status in competencies Data Platform, and ISV – Independent Software Vendor. 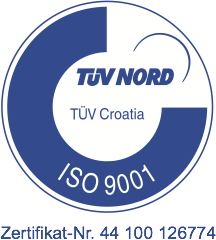 TÜV NORD has awarded us an ISO 9001:2015 Quality Management System certificate. The implementation of the QMS Standard at Analyticom had the clear focus on our key business processes and services (development, implementation, support) which we execute on all of our projects. These processes have been brought to highest standards and successfully passed the TÜV NORD quality audit. The implementation of the QMS Standard clearly reflects our commitment to uncompromising quality of our products and services, and our dedication to the success of our customers.